I’m sure “influencer” is no new term to you, especially if you’re in digital marketing, but the term micro-influencer might be. Micro-influencer marketing is taking off and beginning to be just as if not more successful than celebrity influencer campaigns and advertising. Well, people are more willing to trust the opinions of people they know and look up to; those they feel will give an honest opinion, not just rave because they were paid. So, What Exactly is a Micro-influencer? Micro-influencers are individuals that have between 1,000 to 1,000,000 followers/audience members and are considered experts in their respective niche. They could be a food blogger, traveler, a local fashionista, or a fitness guru - just to name a few. In fact, influencers with 1,000 followers generated 85% higher engagement than those having 100,000 followers, and as the number of followers increases the engagement tends to decrease. Staying within that 1,000 to 100,000 followers proves to be the sweet spot. It just makes sense -- a smaller audience means much more hands-on, personal interaction and we all know that’s marketing gold these days. With a smaller number of followers, micro-influencers followings tend to see themselves as peers of the influencer rather than fans - and 84% of consumers say they trust recommendations from peers over advertising. Businesses may wonder: If I'm a brand, why are micro-influencers more powerful than say, getting a Ryan Reynolds to do something for me? IMPACT's Facebook Advertising expert, Ali Parmelee, puts it like this, "They're more accessible," Ali pointed out. "Because people love to see themselves in these aspirational ads, and that more niche, every day-person influencer makes that much easier." Leveraging micro-influencers who are followed by your target audience not only puts your service or product in front of the right people but slaps on a glossy coating of social proof. Compared to celebrity influencer accounts, micro-influencers are able to interact with their audience more frequently via likes and follows, and respond to questions/comments in quicker manner. Higher interaction amongst the influencer and the audience means that a connection is established quickly and chances are the influencer is also more relatable than a celebrity. Your micro-influencer is more likely to talk through common pains their audience feels in relation to your product and “get real” with them, whereas a celebrity influencer is likely being paid big dollars to do the same. Higher engagement rates with these micro-influencers mean they’re actively being an advocate for your brand, not simply posting something and letting it disappear into their feeds. That exposure can ultimately help you not only get eyes on your business but can help with the sale of your product. This means your dollar (and limited dollars at that) can go much farther connecting with a micro-influencer. Going with a celebrity influencer or endorser can cost you hundreds of thousands, just for one post. So, unless you are a huge brand, that just may not be realistic or worthwhile. A micro-influencer is much more affordable. It all depends on the number of followers and engagement, but on average the rates hover around $1,000 per post for those with 100,000 followers. Because you’ll likely have more budget working with micro-influencers, consider working with more than one to cast a wider net and reach your different personas where they are. 49% of people say that they trust recommendations by influencers to make their purchase decisions. And that shouldn’t be a surprise, reviews and recommendations are huge! For example, when you’re going to choose a restaurant to go to that you haven’t been to before, if you’re like me, you check out Yelp or Google reviews to see what people think (if you haven’t asked your friends already). In the business world, if you’re a company looking for a solution for a problem you’re facing, you’re going to first reach out to people you know and see if they have any recommendations of people to reach out to. If you’re doing research on your own, chances are you are asking for references, case studies or checking reviews of their service online. At the end of the day, we want to know the opinions of others. In fact, I even find myself at the store looking at products and jumping online real quick to see reviews before I purchase it (even if it isn’t that big of a monetary commitment). Other people’s opinions really do hold value when someone is making a purchasing decision. Unlike most major celebrities, with micro-influencers, you’re often able to tap into very specific, niche markets. Micro-influencers come in all shapes and sizes. Each of them has a specific area of expertise, style, brand, and appeal to a particular kind of audience. Consider your buyer personas, just as you would for content you’re creating. What kind of people would your audience be following? What would resonate with them and prompt them to buy your product? Typically these micro-influencers have a tribe surrounding them that align closely with their interests. The only way to be most successful with micro-influencer marketing is if you find someone who is catering to your specific target audience. Otherwise, you’re wasting money on audiences that will never buy. Why Are Micro-influencers So Effective Today? Frankly, they are more relatable and trustworthy than celebrities. With their more humble backgrounds and individual interactions, they are better able to connect with their audiences on a personal level and understand their pain points. People often follow them because they have faced similar struggles and are drawn to those who have overcome them, so when they recommend something, people take that as the word of an expert. "A micro-influencer has the ability to connect with their audience on a deeper level, this is because they are sharing with maybe around 1k-100k of followers compared to large fan base (over 1 million) influencers and celebrities. You may be saying, “well celebrities give reviews of products.” Well, most people are well-aware that the celebrity isn’t using the product they are endorsing, especially if it’s a common brand. They’re just getting paid big bucks to tell you it’s great and there are no repercussions if you don’t like it. Someone who has a much smaller following has something to lose. If they promote something they don’t believe in, they risk losing their followers trust quickly. Who Can Benefit from Micro-influencers? You may be asking, how do I know if it will work for my business? Well, is your audience active on social media? In particular Instagram, Facebook, or YouTube? Or even a specific blog? If they are, chances are micro-influencer marketing is a great opportunity for you. It’s a way to connect with your audience where they are most active online. And even though B2C businesses tend to benefit most from micro-influencers, it’s not to say that B2B companies can’t. If there is a local thought leader in your space active online (via Instagram, YouTube, a blog, or even a podcast), there is likely an opportunity for them to chat about your product and share it with their active audience. It’s all about targeting the platform that makes the most sense for your product or service, and where it will be most well-received. Also, with its low-cost, businesses of all sizes can likely afford to invest in it. How & Where Do I Find The Right Micro-influencers For My Business? Start off by doing research to gain a complete understanding of your target audience and their research/buying behaviors, and demographics. You want to ensure that the micro-influencer you go with has the right following for you, and includes members of your target audience. So, it's important that you also gain plenty of insight into the following the influencer has. 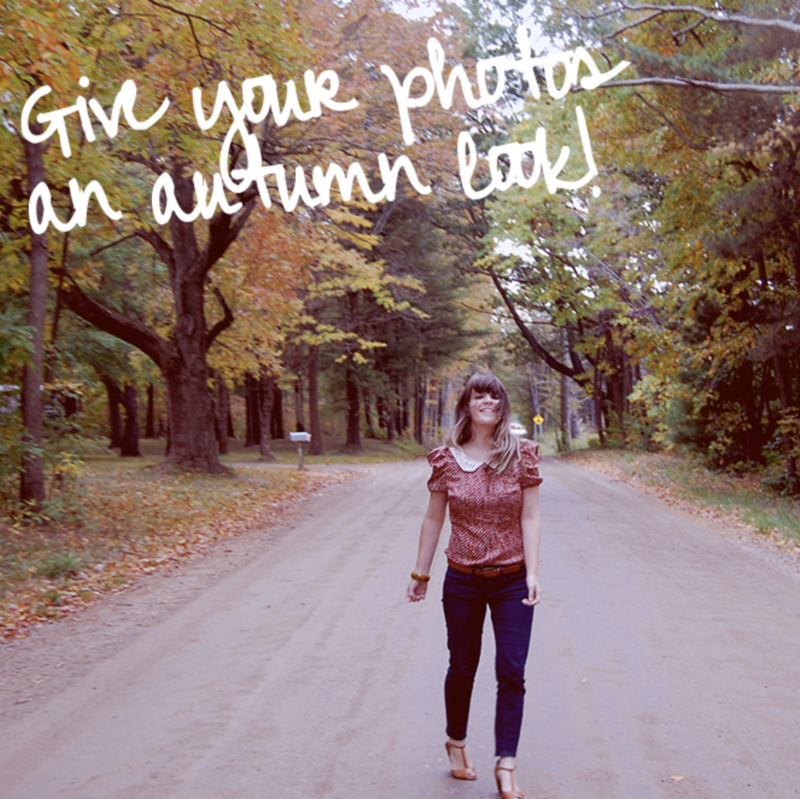 Consider looking at your best or ideal customers and the pages they like or things they follow. Chances are you’ll start to see an overlapping connection between the things they like and could begin finding influencer accounts. Put your keyword research to use. Start going through hashtags and identifying trending accounts and pages that have a good amount of engagement and are using phrases and hashtags that fall within your keywords. Do outreach to local bloggers who fall within your niche market. Chances are they have a good following on social media and would be open to working with you in putting together an influencer marketing campaign. In addition to boots on the ground research, you can also use a tool like Snoopreport to get to know what users like and comment on on Instagram. Based on information gathered from your followers and your competitors followers, a list of influencers will be generated that your audience is following and connected with. This allows you to compare results, or to quickly have a list of potential influencers to reach out to. Once you find possible influencers, be sure their content is of high-quality. You want to make sure the influencer you are going with isn’t just primarily pushing products. The most appealing thing an influencer can do is create a narrative and story along with the product. They should be staying true to who they are and using the platform to provide their audience with what they are actually interested in. Followers can very quickly sense if the person is just pushing products and will get turned off. Micro-influencers aren’t just for smaller companies with smaller budgets. In fact, big brands have seen success with micro-influencers as well. Instead of going against competition in the typical space of advertisements they took to using micro-influencers to connect with their audience. They teamed up with a lifestyle bloggers to create cocktail recipes using their beverage. The two bloggers they worked with had followers in the range of 7,000 - 8,000. LaCroix took to micro-influencers in an attempt to do something different than competitors Perrier and Poland Springs who typically focus their efforts on traditional advertising. LaCroix was looking to target younger generations that typically don’t connect with traditional tactics. 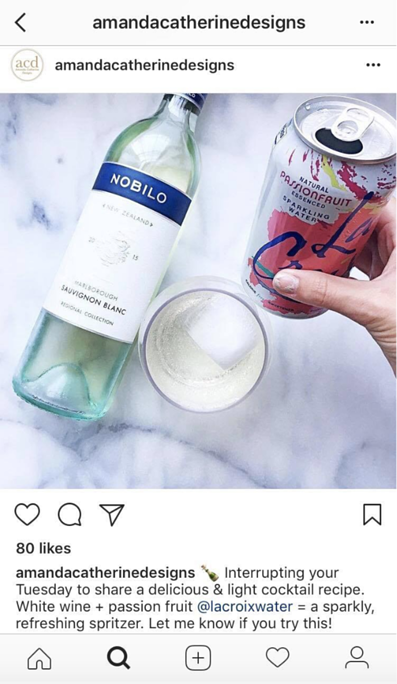 Sales for LaCroix have continued to increase as they leverage newer digital marketing tactics and connect with micro-influencers. Another huge brand that took to using micro-influencers was Spotify. The company was looking to promote their Discovery Weekly feature and reached out to micro-influencers to post images and mention their playlists online. The campaign had great success and hit 29,540 likes and comments with engagement at 2.37% and they paid just 20 cents per engagement. Talk about a huge win for them let alone the big savings. While its the talk of the town these days, teaming up with micro-influencers isn’t something new to Adobe; they’ve been doing it for awhile. In this campaign, Adobe teams up with lifestyle bloggers to promote their photo editing software. Bloggers take to social media to tell their audience about their experience over months using the software and share their finished images to show the results of using the editing software. Blogger Tieka Ellis is one of the influencers who wrote about Adobe in her blog Selective Potential and how the product helps make her images even better. To find the influencers they decided to work with they used they teamed up with Mavrk, an influencer marketing platform. Traditional marketing approaches aren’t as effective as they used to be. Consumers are savvy. They do their own research and they’re less swayed by brand messaging and clever copy than their parents. That’s why micro-influencers established credibility, trust, and personal connections are so effective. Follow the pointers I gave earlier about how to find and begin making a list of potential people to work with and go from there. From there, you’ll be able to craft specific campaign ideas that would fit well with the personalities and storytelling of the micro-influencers you choose. 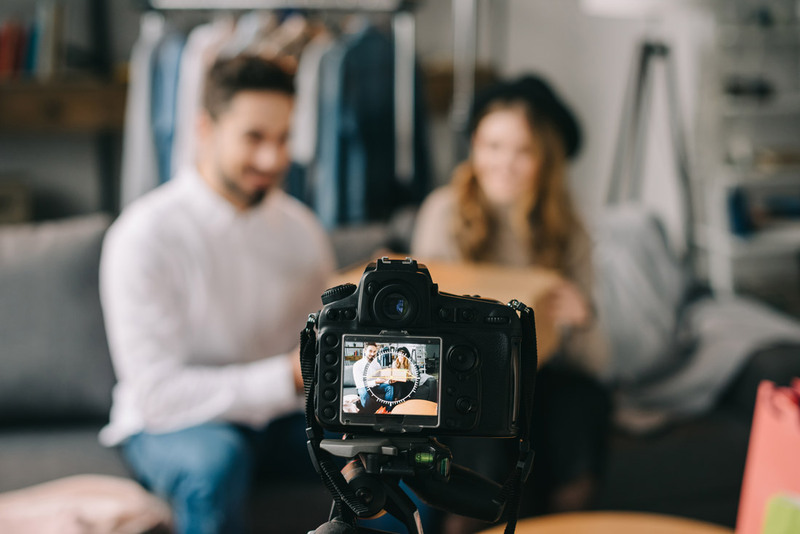 Consumer's buying behaviors are constantly shifting, and starting up a micro-influencer campaign could help you begin reaching markets you haven’t been able to before.